Hi! I'm Ajaire from Call Ajaire and I'm so happy to join in on this Designer Pairs collaboration. 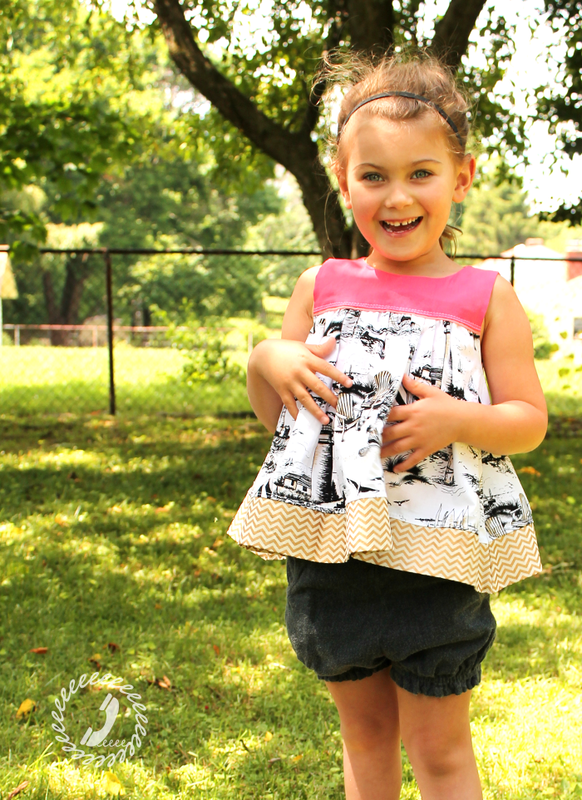 Joining me and my Designs by Call Ajaire Paneled Sunsuit pattern today is the lovely Susan's Button Up Tunic by Snuggle My Baby. 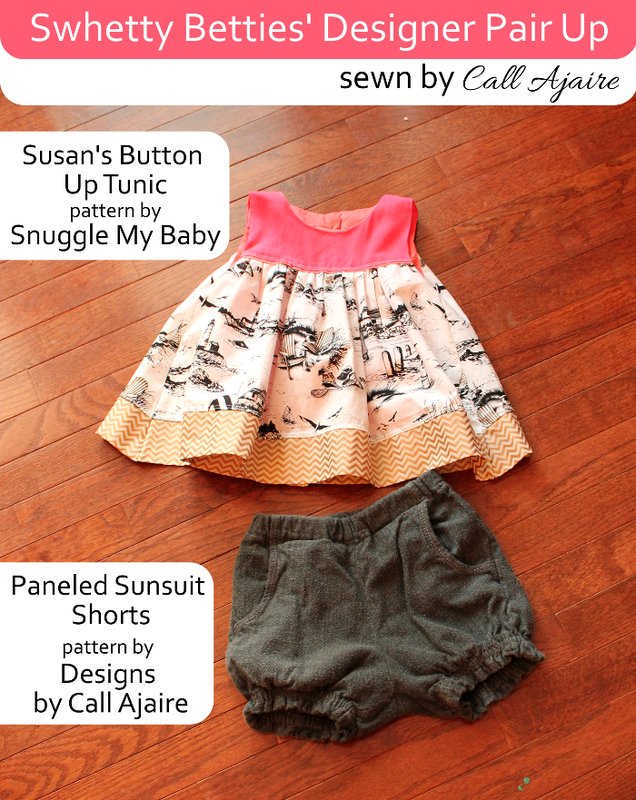 When I saw Snuggle My Baby's newest release I knew it'd look adorable with the shorts view of my Paneled Sunsuit. I've made a bunch of these shorts for this summer and I was looking for a few flowy tops for my girl to wear with them. First let's talk about the Susan's Button Up. There are both tunic and dress (knee) lengths. The sizing is from 2T to 12 years and it's fully lined. There's even a new flutter sleeve that comes with the pattern. Somehow my girl saw this beach fabric in my stash a few months ago and declared it hers. She asked for a "Cape Cod Birthday Dress" made with it for her birthday last month and though I didn't even know that was a "thing" I came up with a color scheme, hehe. She loved the dress so much (and frankly I'm digging her vibe) that I used some of what I had left of the fabric to make a similar top. I didn't have very much length to work with so I shortened the tunic length and added the gold chevron strip. Those were the only changes I made to the pattern however. This is size 5 and fits to a T.
The back detail with the buttons is probably my favorite. Instead of buttoning each of those buttons, Bean was able to get the top on with just the top three undone so that's a time saver. You can grab this pattern for only $5 right now with the code SUSANSPAIRUP. The Paneled Sunsuit shorts view is one of my most used views of that pattern. These are a size 6 and I hate to say with Bean's most recent growth spurt she could almost do with a 7 already! The pattern runs from nb to size 12 years so I still have plenty more wear out of this versatile look. 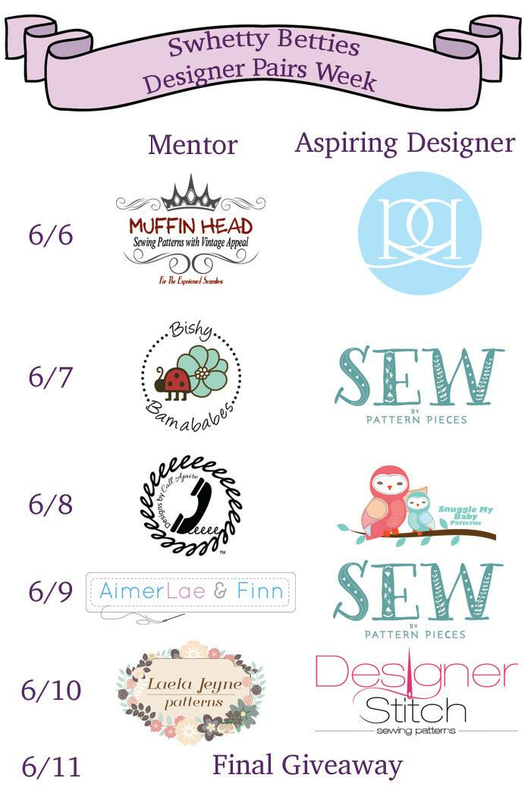 Oh, and the 1 year anniversary of the Paneled Sunsuit release is coming in up the next few weeks so you'll want to join my Designs by Call Ajaire facebook group for a fun contest and giveaway announced soon! As always, thanks to the Swhetty Betties for a fun challenge. It's always nice to take a step back and sew someone else's pattern for a change and I really enjoyed sewing the Susan's Button Up!